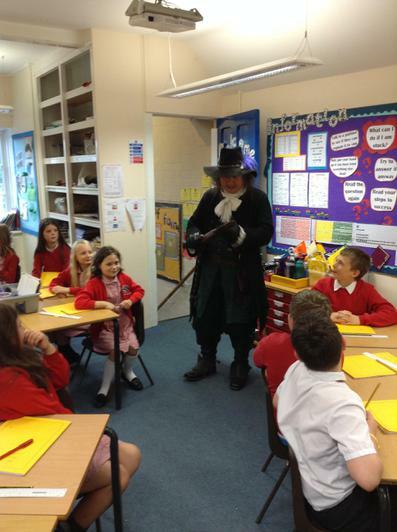 A visit from a Highwayman! 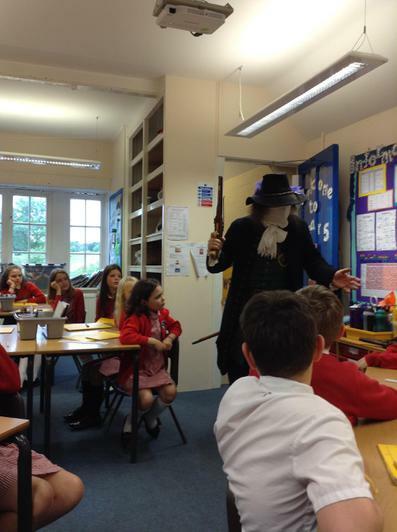 On Thursday Year 5 had an early morning shock when an uninvited guest appeared on our class room! 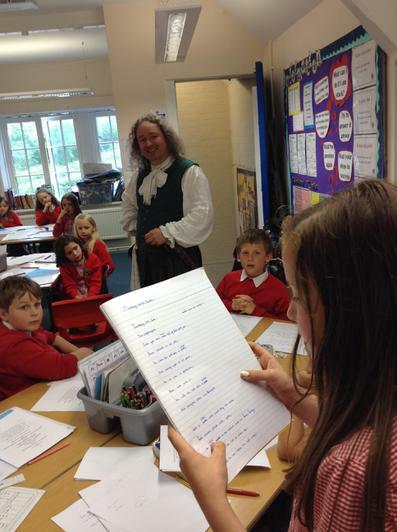 John Nevison, famous Highwayman, took Miss Anderson up on her offer of using the school as a hideout. He was being chased by the local constable and needed somewhere to rest until night fall. 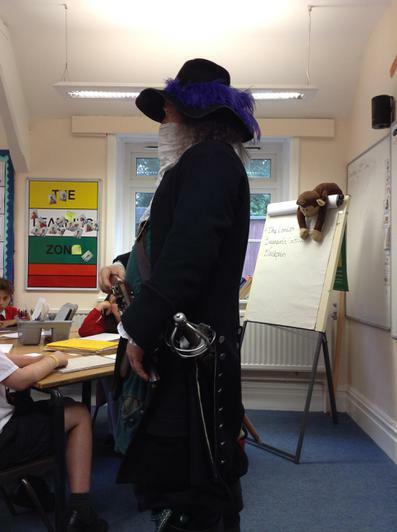 While John 'Swift Nick' Nevison hid out in Year 5 he told the children all about his life and how many people mistook him for a crook. He had very different stories about himself to those printed in the paper. 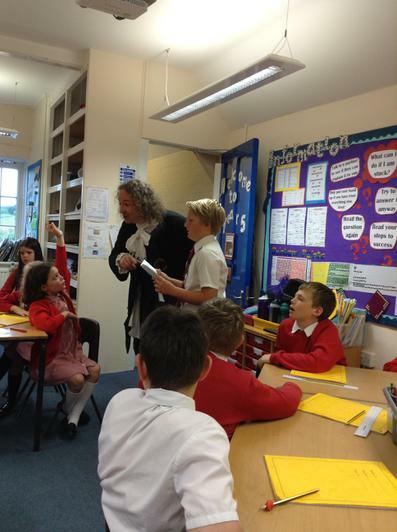 So, the children had to right history and re-write tales and a ballad about him. Some also had to write a letter to a newspaper in support of his good nature. And helping poor is his game. And everyone likes him therefore. 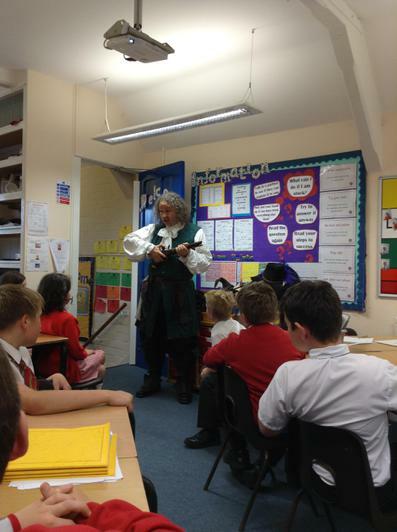 John Nevison also showed us how his gun worked, how he uses his sword, and how he wears his mask to conceal his identity. 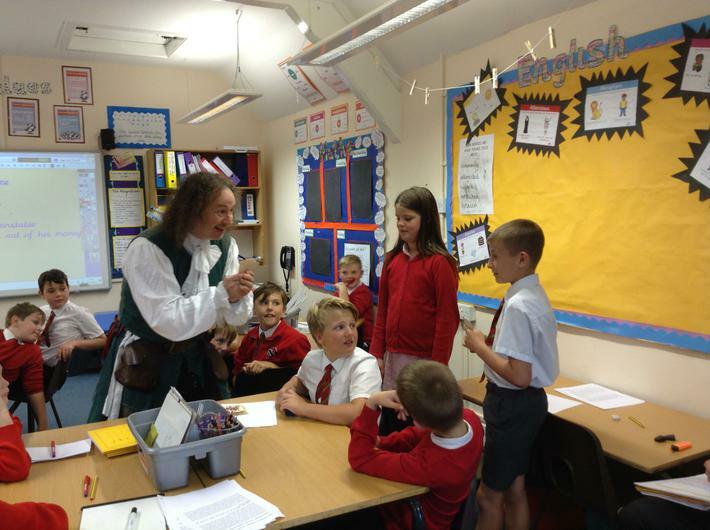 Year 5 had SO much fun.